*This is a guest post from my daughter Hannah, who blogs at Hello, It’s Hannah. She’s a crafting extraordinaire. So, it’s summertime. It’s hot. You can only go to the pool so many times before it starts to get kind of boring. But luckily, there’s a cure for your teen’s inevitable summer boredom. 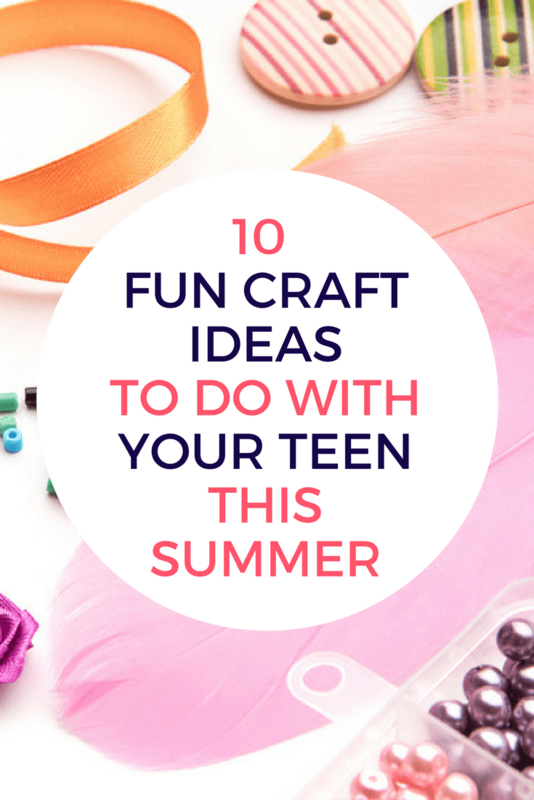 Summertime is the perfect time to experiment with crafts, and there are plenty of fun and easy crafts out there for kids, and teens! 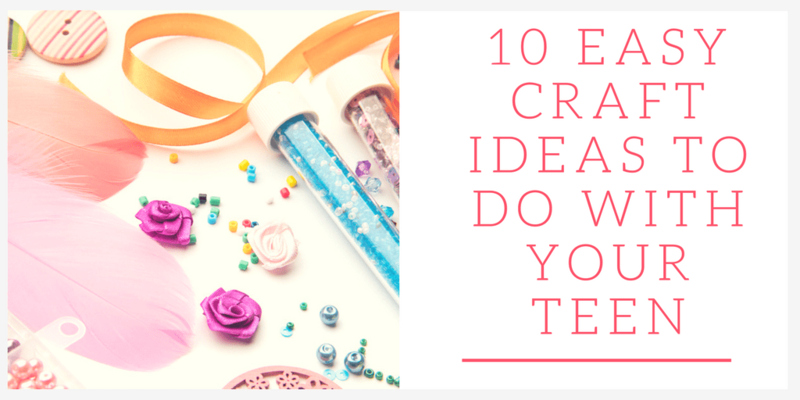 Here are 10 easy craft ideas for your teen that they’re sure to love. This cute light up mason jar is super easy and has so many uses. Just go to your local craft store and pick up some glow-in-the-dark paint, a mason jar, a long paintbrush, and some paper. I’ve lost count of how many Sharpie mugs I’ve made. They’re so easy! Just get a plain white mug, oil-based Sharpies, and letter stickers, and you’re all set. This is one of the most fascinating crafts I’ve ever made. You can create your own crystals with just borax, hot water, and food coloring. SO cool! This fun craft is so customizable and easy. Just get embroidery floss (color of your choice), a plain bracelet, charms of your choice, and E600 craft glue. These awesome shoes are lots of fun and easy to make. All you need is rubbing alcohol, Sharpies, and white sneakers. Color away! This super easy necklace also works as a headband! All you need is a necklace (about 18 inches long, Hobby Lobby), a hair tie, and pliers. Marble jewelry can sometimes be expensive, so why not make your own at home? You just need nail polish in different colors, a plastic bin, wood skewer or dowel, masking tape and a plain cuff bracelet. So pretty! This gorgeous letter craft is perfect for spring and summer It can be made with fake flowers, a foam board, a hot glue gun, a utility knife, a pencil, and scissors. These embroidered headphones are so much fun and one of my favorite crafts I’ve made. You need embroidery floss (any color you want, can be found at Hobby Lobby) and your headphones. That’s it. The result: super customized headphones that don’t get tangled! Thanks for including us! Love this roundup!